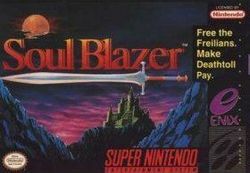 Soul Blazer for Super Nintendo has you chosen to save the kingdom from annihilation. You've got to free the empire's captive souls, rescue a beautiful maiden, and free an imprisoned inventor. But wait, most importantly, you'll need to teach the King a thing or two about greed and integrity. 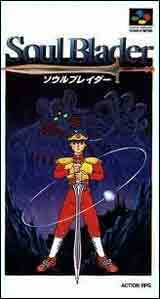 In this extensive RPG, you'll have to journey through six stages to restore the kingdom. You'll have a full arsenal, plenty of armor, and magic on your side. For 1 payer.